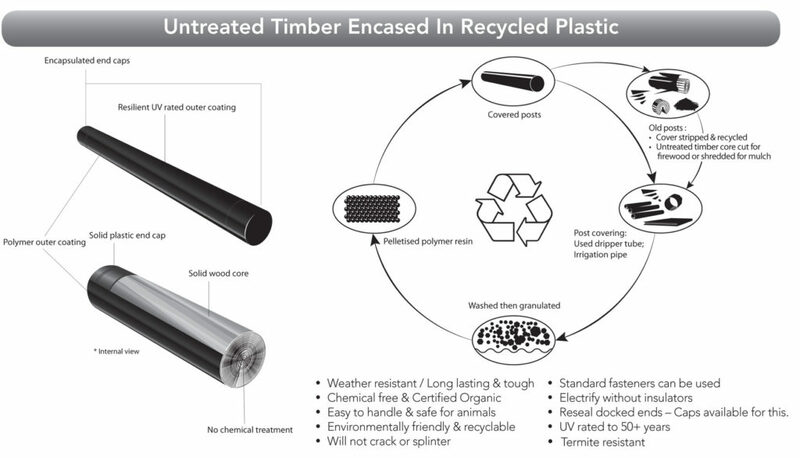 Woodshield supplies a non-treated timber post encased in recycled plastic combining the strength & rigidity of timber with the resilience of plastic. The post has 40-50% more strength than timber of the same size and a 100% greater breaking angle. Superior strength and a very, very long life span. NO Rot – NO Rust – NO disposal issues – NO chemical issues – NO termite/white ant issues. 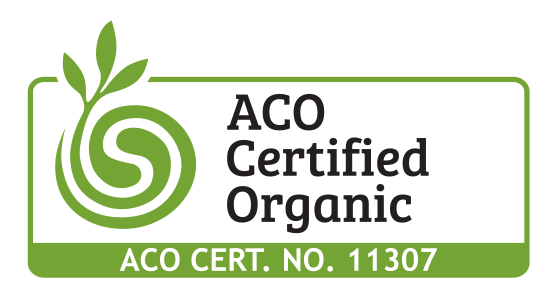 We are certified organic – The ACO in Australia and in New Zealand we are BioGro approved. 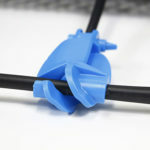 The product is easy to handle, OH & S safe and standard fasteners can be used. 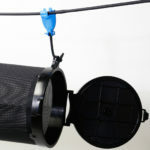 Weather resistant and can be used in and around water. WoodShield offers a product which is the most versatile and complete oyster post, rail and joiner system without the requirement of onsite assembly. 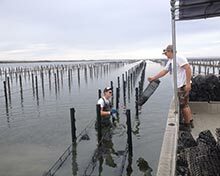 In addition to the elements such as moisture and sun exposure, oyster farmers have the added problem of marine borers. 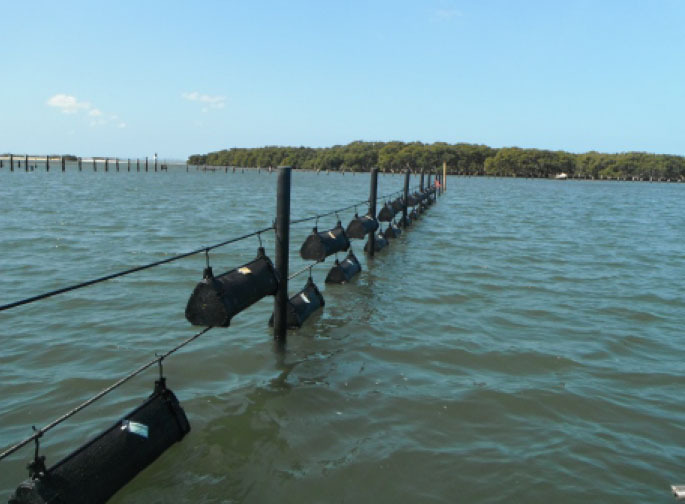 WoodShield posts are ideal in marine, tropical or wet environments, since plastic is inert in seawater and they are not susceptible to marine borers, salt, water, or barnacles. WoodShield posts have the strength and rigidity of other timber posts combined with the protective properties and toughness of polyurethane plastic. 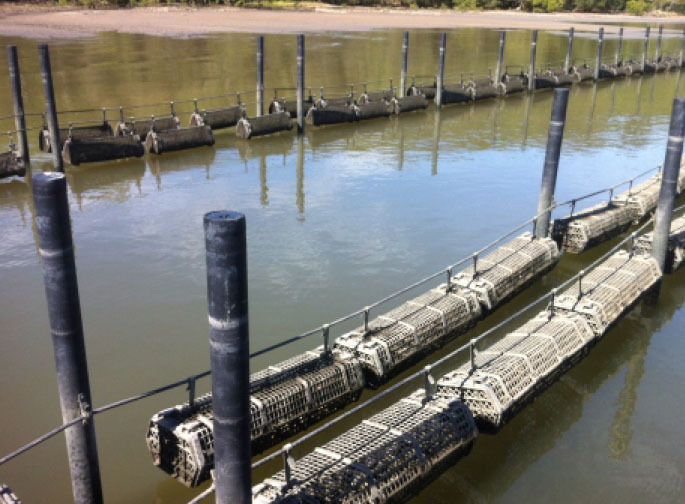 They are flexible enough to be break resistant if hit by barges or boats and sturdy enough to survive strong tides currents and storms. 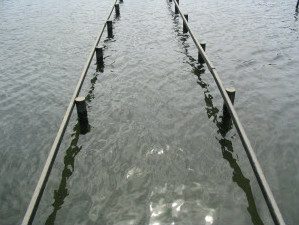 More recently traditional timber preservation products such as CCA treated timber or tar have been identified as potentially harmful to the environment and in some cases have been banned or phased out. 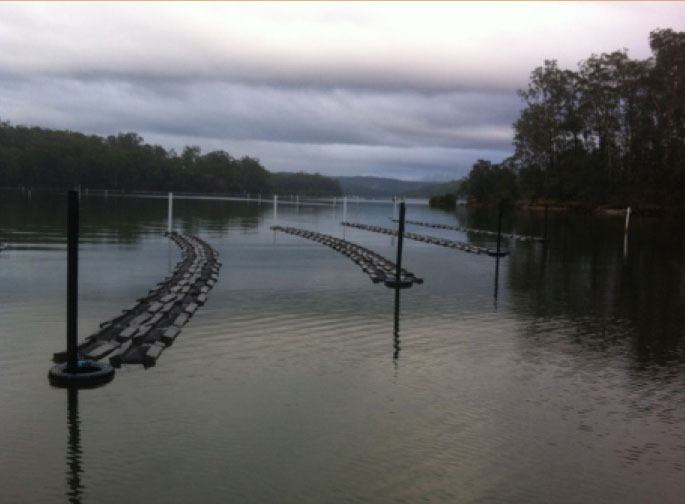 WoodShield provides an environmentally friendly timber post that is non-toxic, with no adverse leaching of chemicals and no ‘end of life’ disposal concerns. 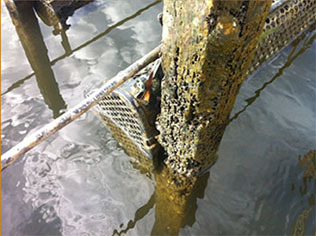 In the Aquaculture industry the preservation of timber support posts has always been a major issue. 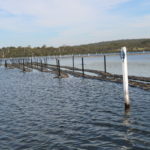 When you compare the cost, rigidity (especially after sun and saltwater exposure), weight, appearance and longevity the Wood-Shield timber posts offer benefits to the Aquaculture industry that far exceed alternative products. The WoodShield timber post ends are protected with very thick end caps which enable them to be hydraulically “whacked” into the ground exactly as a standard timber post would. 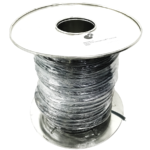 The process creates a strong adhesive bond between the timber and plastic sheath leaving no exposed timber and completely sealing the post. 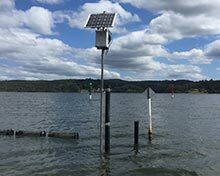 The UV and salt resistant outer plastic shell on the WoodShield post has enough “give” in it so that it can be drilled, screwed, bolted & stapled to attach standard fittings & clips, so the racks can rise & fall with the tides. 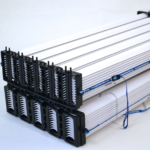 The posts are also easy to handle, pack, transport and install.